ATLANTA (April 1, 2019) – W.E. “Ed” Bosarge Jr., PhD gave remarks Monday, April 1st, at the American Association of Cancer Research’s annual meeting in Atlanta. He introduced this year’s recipient of the AACR-Waun Ki Hong Award for Outstanding Achievement in Cancer Research, Dr. Andrew T. Chan. Bosarge endows this $10,000 award given annually to an outstanding cancer researcher under the age of 51 who has conducted highly meritorious translational and clinical cancer research. “We recognize your career, your work and the work of your team as the third recipient of the AACR Ki Hong award for being a leader driving change in research and patients’ lives,” Bosarge said, going on to note that Dr. Chan has led the field in recognizing and developing the concept of “precision chemoprevention.” Bosarge praised Chan’s specific achievements in aspirin chemoprevention and his 2007 landmark article in the New England Journal of Medicine. 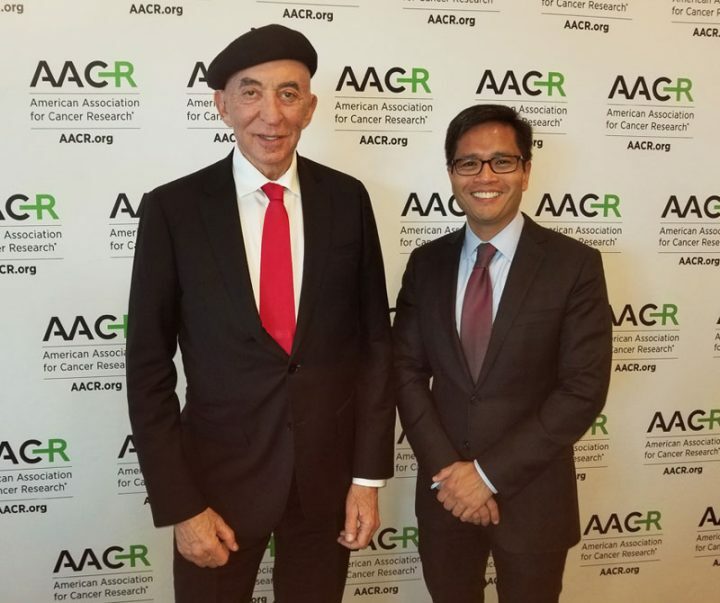 The award was established in 2017 in recognition of Waun Ki Hong, MD, FAACR, for his extraordinary contributions toward advancing cancer research, cancer care, and cancer prevention. Dr. Bosarge noted the poignance of this year’s award after Hong’s unexpected passing on January 2. “One role that brought him special joy was as a mentor to the many young scientists whose careers he nurtured.” He closed his remarks by calling on Dr. Chan to continue Hong’s effort to support and foster others in his commitment to translational research in prevention. The AACR Annual Meeting program covers the latest discoveries in cancer research—from population science and prevention to survivorship and advocacy—highlighting the work of the best minds in research and medicine from institutions all around the globe.